Best Western Hotels & Resorts is celebrating impressive growth in Japan, with the signing of three hotels in key destinations across the country. The world-renowned hotel group has secured license agreements for the 105-room Best Western Osaka Tsukamoto, a brand new hotel in the country’s second largest city; the 60-room Best Western Sapporo Odori-Koen, another new-built project located in the biggest city on the northern island of Hokkaido; and the 94-room Best Western Yamagata Airport, an impressive conversion project in north-central Honshu. Yamagata Airport has regular connections to Tokyo, Osaka and Nagoya. These three new hotels reinforce Japan’s position as one of Best Western’s largest and most important Asian markets. They also follow the recent opening of the 105-room Best Western Tokyo Nishikasai Grande, the company’s third property in the Japanese capital, and the rebranding of The Hotel Nagasaki to become Asia’s first operating BW Premier Collection® hotel. “Japan’s tourism industry is booming. 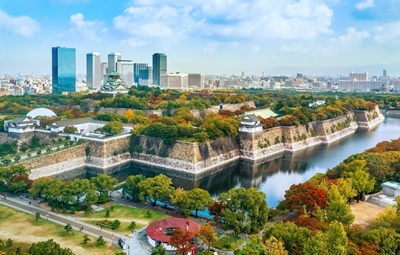 Having welcomed a record total of 24 million international visitors last year, the Japanese government is now targeting 40 million arrivals by 2020 – the year Tokyo hosts the Summer Olympic Games – and a staggering 60 million visitors by 2030,” said Olivier Berrivin, Best Western Hotels & Resorts’ Managing Director of International Operations – Asia. “We are therefore excited to have signed another three outstanding hotels in Japan, which demonstrate Best Western Hotels & Resorts’ continued commitment to this wonderful and dynamic country. 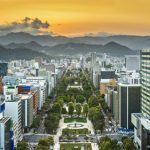 “Osaka and Sapporo are two of Japan’s largest cities and most popular destinations, so we are thrilled to be able to provide local and international travelers with brand new, stylish midscale hotels in these two metropolises. “Our new project at Yamagata Airport marks yet another first for Best Western, as we seek to expand our presence in emerging destinations across Japan and Asia. Our well-loved and trusted Best Western brand will be a great fit for domestic travelers seeking a comfortable, affordable and well-connected accommodation at Yamagata Airport,” Olivier added. All three of these new hotels are on track to welcome their first guests in the fourth quarter of 2017. In line with Best Western’s global brand promise, all guests will be provided with a selection of convenient amenities, including complimentary in-room Wi-Fi, on-site restaurants and professional business services, backed up with superlative service standards. The signing of Best Western Osaka Tsukamoto, Best Western Sapporo Odori-Koen and Best Western Yamagata Airport expands Best Western Hotels & Resorts’ portfolio in Japan to 15 properties, covering some of the country’s key business and leisure destinations, including Tokyo, Osaka, Sapporo, Nagoya, Okinawa and Yokohama.